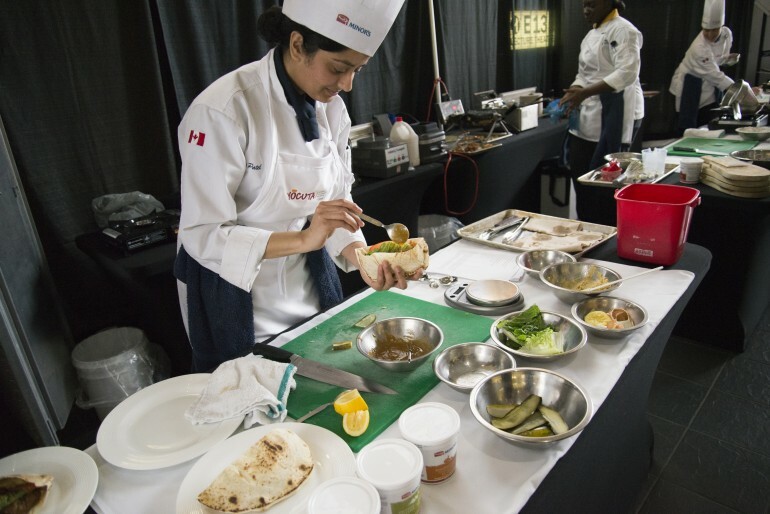 The aroma of melted cheese, roasted garlic, and the crunching sound of crispy bread crust brought Humber students to the Bold sandwich cook-off challenge. 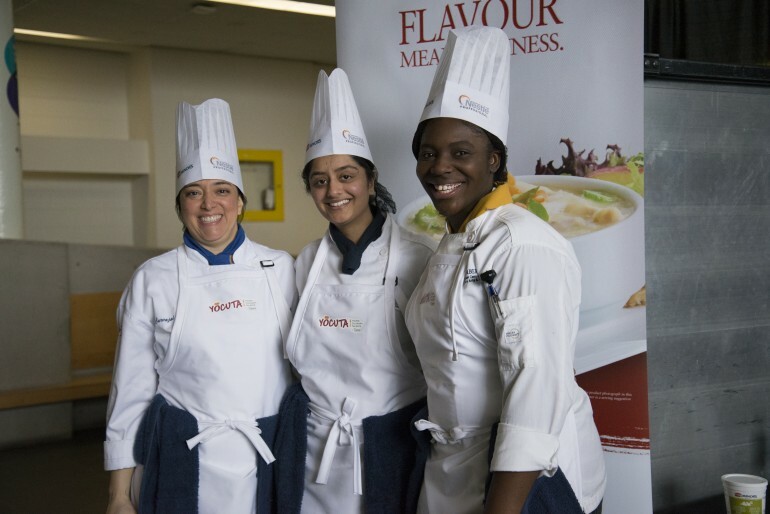 Three students from three different programs competed for the title of “Best Bold Sandwich” and to bring home a cheque of $1,000, while the runner-up will secure $750 and a cheque of $500 for third prize. “It was planned that way,” said Gregory Howe, a Culinary Management graduate with honours, who was also one of the judges. He explained why the three competitors are from three different programs. Mihali Patel, a first-year student in the culinary management program, said the contest was an excellent experience for her. Patel finished in third with her feisty falafel with hummus and chipotle tahini. Her scallion waffle with buttermilk fried chicken and maple syrup secured second place. “I love it, it’s a good opportunity to show what we have learned,” said Gloria Carvajal, a first-year student in the healthy lifestyle and promotion program. Carvajal made Tandoori-Mexician chicken sandwich. “Here, at school, we have learned so many techniques, it’s a good thing to prove what you have,” Carvajal said. “It’s also good because it’s outside the lab so we’ll have to figure out by ourselves and the atmosphere is so great. “I was struggling a little bit with the time, but in the end, I think I did well,” she said. “They’re excellent, they’re well-prepared, creative with excellent skills,” Howe said of the three competitors.